Or, apply & pay as little as $61/mo. 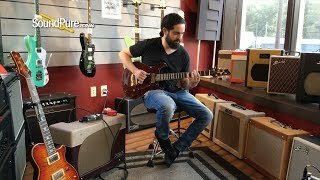 In this video, Sound Pure Electric Guitar specialist Michael Buckley plays an Artinger Mahogany Chambered Solid Body Electric guitar through a Carr Impala amplifier. 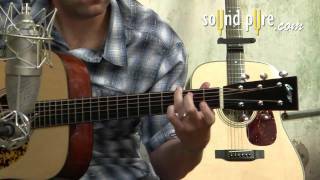 I started experimenting with guitars at around age 12, and after apprenticing under local master cabinetmaker, John Angelino, through high school, I emerged to start Artinger Custom Guitars in 1997 at age 19. With the incredible support and trust of my first few clients (all of which have become close friends) word spread throughout the area, and eventually out of state. With demand steadily growing, I teamed up with Rick in 1999 to form Artinger Custom Guitars, LTD. Although Rick spends only a small portion of his time in the shop helping with the construction of the instruments themselves, he's the administrative backbone of the company, handling everything from the website to our marketing. It's been a fantastic partnership, and we're both proud to be keeping the company to a grassroots level, getting to know each customer individually, and tailoring every instrument to that individual's needs and desires. Therefore, every Artinger is a unique and special adventure, and no two are identical. There is nothing that gives us more satisfaction than the bonds developed between our customers, their instruments, and ourselves. It's a wonderful experience that can never be found on a rack in a store! Thanks so much for visiting, and feel free to contact either one of us at any time... Take care, and happy picking!